-- 1.5 oz. 0.75 oz. 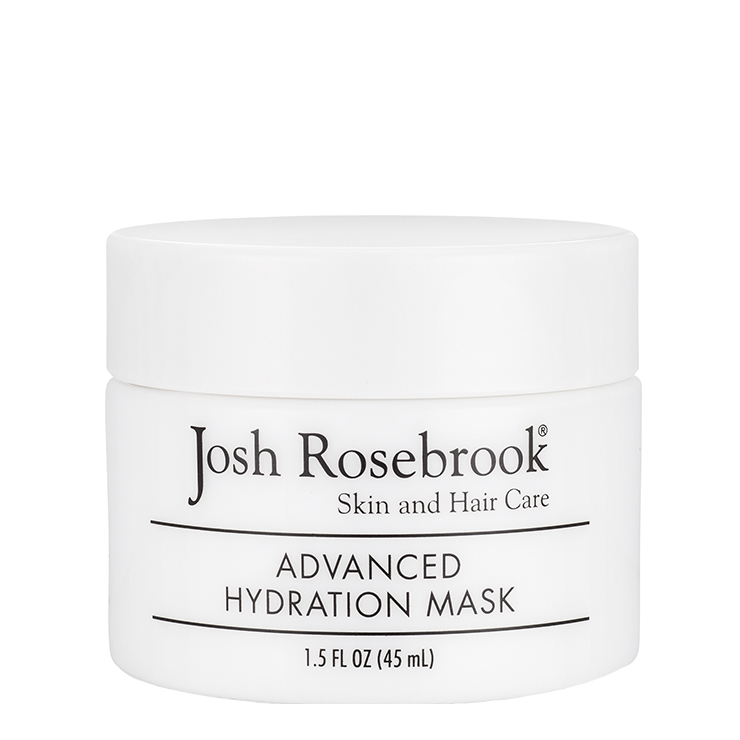 Advanced Hydration Mask is Josh Rosebrook's latest innovation designed to help give skin a replenished, ultra-moisturized feel. This unique treatment can be used daily to visibly improve the appearance of vitality. Aloe Vera, whole organic actives and rich plant oils offer potent nutrient synergy to support the feeling of skin regeneration. Indian Senna Seed, also known as ’botanical hyaluronic acid,’ boost a feeling of long-lasting hydration, while offering a reparative quality. 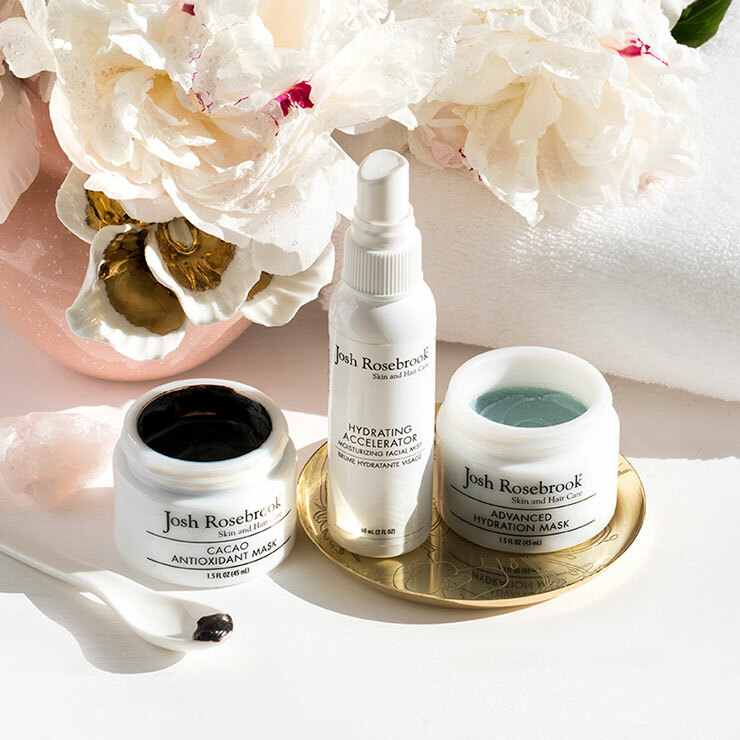 The Advanced Hydration Mask will visibly plump, condition, and improve the look of glow, as it gives a sense of protection from signs of aging. Our advanced formulation which allows removal of the mask without water rinsing, and keeps skin feeling moisturized. Mist face with Hydrating Accelerator. While damp apply Advanced Hydration Mask. Leave mask on for 15-25 minutes. Option: mist Hydrating Accelerator over face while mask sets. Remove the ultra-nourishing face mask with a clean dry cloth. Finish with the Active Infusion Serum and Vital Balm Cream. 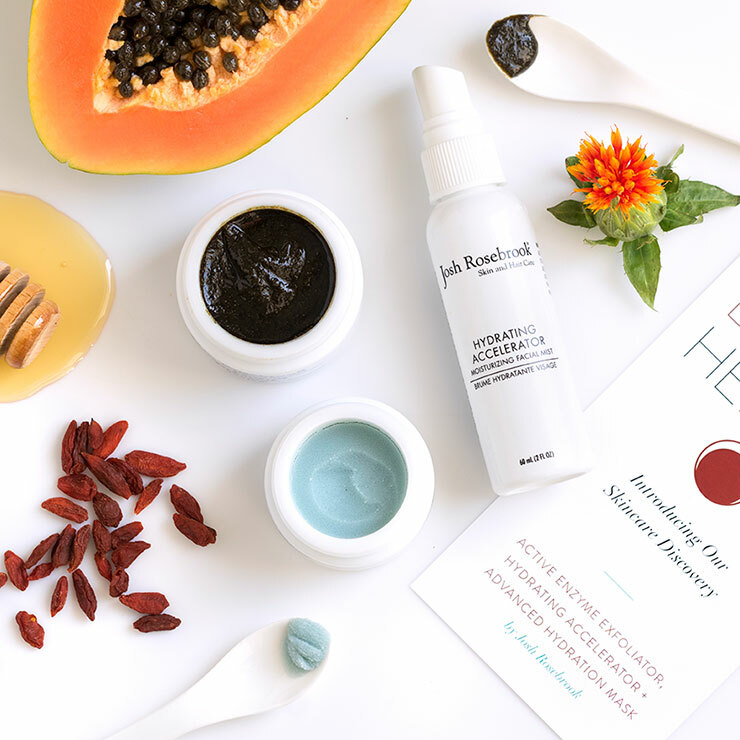 The Advanced Hydration Mask can be used to make skin feel super hydrated daily. Shea Butter *, Mango seed butter *, *Aloe vera leaf juice, *Indian senna seed extract, *Sunflower seed oil, Avocado oil *, Jojoba seed oil *, Evening primrose oil * , Cande – Lilla wax ***, Ashwagandha flower extract *, Turmeric root extract *, Rose hips flower extract *, Goji berry fruit extract *, Calendula extract *, Black cohost root extract * , Elderberry extract *, Bladderwrack Extract *, Marshmallow Root Extract *, Ginger Extract * , Fenugreek extract *, Chickweed Extract *, Licorice Extract *, Raspberry Leaf Extract *, Dandelion Extract *, Sage Extract *, Eyebright Extract *, Milk Thistle Extract *, Rose Petal Flower Extract *, St. John’s Wort Extract *, Cat’s Claw Extract *, Cinnamon Extract *, Lavender Extract *, Ginko Biloba Leaf Extract *, Xanthan Gum****, Potassium Sorbate****, Blue Tansy Essential Oil***, Blue Chamomile Essential Oil***, Lavender Essential Oil ***, Rose Essential Oil ***, ***Frankincense Gum Oil. The Advanced Hydration Mask is checks so many boxes. Delivers soft, hydrated skin so key in drier climates and seasons. Delivers hydration to hands and feet as another reviewer shared. Delivers a glorious aroma, relaxing the muscles and mind from the stresses of the day. I have left it on as a sleep mask many a night. Nice mask, not for me. This mask has some very unique qualities. It feels like putty in the jar, but then melts into the skin with the scent of blue tansy. It is very moisturizing and a little goes a long way. However, I personally do not enjoy the scent of blue tansy, and I don't like the thick texture of shea butter on my face, as it leaves a tacky residue even after following the removal instructions for this mask. However, I have continued to use this mask to moisturize hands, feet, and elbows. I won't repurchase but I think people who enjoy shea and blue tansy would find this a knockout. The softness, the smell, and the glow that this product delivers is truly amazing! The smell is like being at a exotic paradise island! I will definitely be purchasing this mask again!